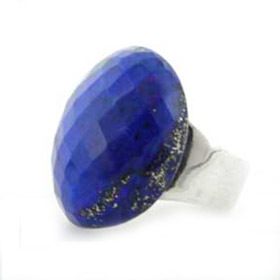 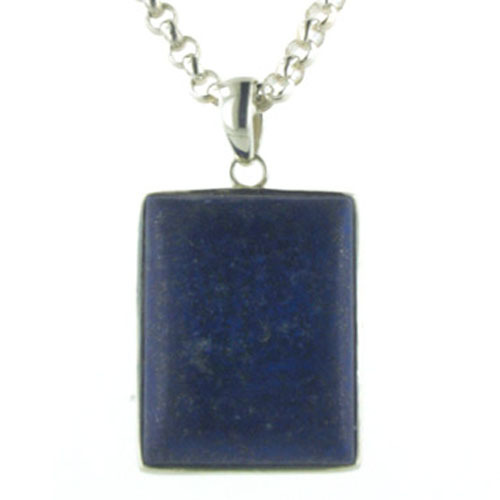 Lapis lazuli is a dense, opaque semi-precious gemstone worn by ancient civilisations. 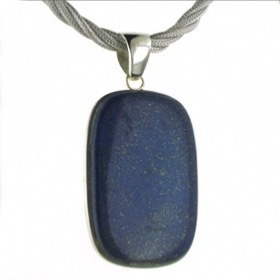 It's colour varies but the most prized lapis lazuli is deep royal blue. 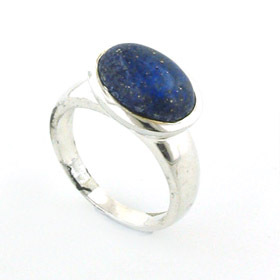 Lapis lazuli often has a sprinkling of gold pyrite across the polished surface and sometimes is completely plain. 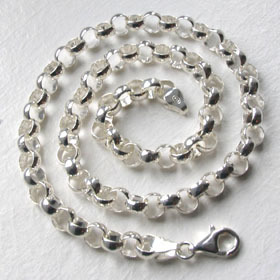 White calcite is also a common inclusion but the best pieces have little or no calcite. 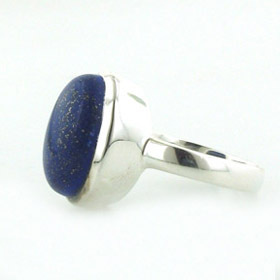 This particular stone is the best quality lapis lazuli with even rich colour and a beautiful sprinkling of gold pyrite. 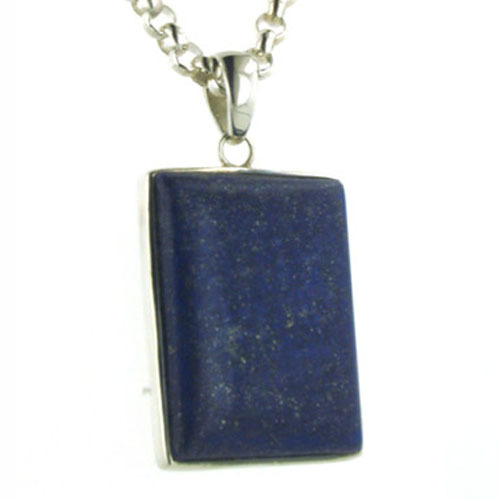 Set into a neat sterling silver frame, this lapis pendant is sure to be often around your neck. 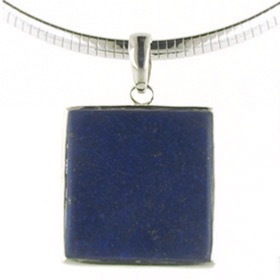 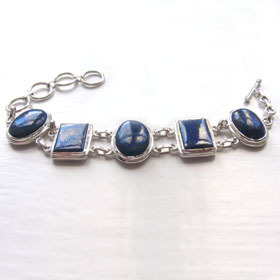 See our entire collection of lapis lazuli jewellery to make a coordinating jewellery set. 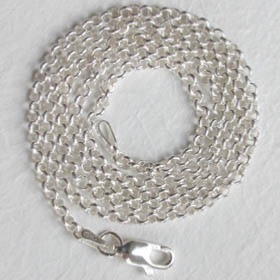 See our collection of Italian sterling silver chains to create your own individual style. 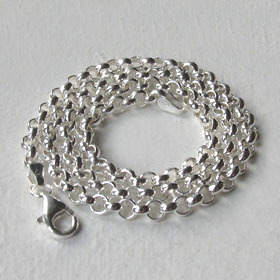 The chain featured is our silver belcher chain, width 4mm (see below).